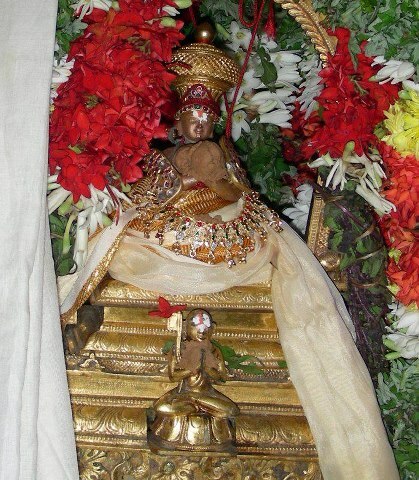 mAmunigaL, in his upadhEsa raththina mAlai, highlights that madhurakavi AzhwAr‘s thirunakshathram (chithrai month chithrai nakshathram) is so much more important than other AzhwArs‘ thirunakshathrams for us (prapannas and rAmAnuja sambandhis). This is due to his unprecedented and unflinching faith towards nammAzhwAr. In the next pAsuram, mAmunigaL explains that madhurakavi AzhwAr‘s kaNNinuN chiRu thAmbu was placed in the middle of 4000 dhivya prabandham by our pUrvAchAryas understanding that it revealed the highest principle of thadhIya sEshathvam (being devoted to bhagavAn’s devotees). madhurakavi AzhwAr demonstrated this highest principle of srIvaishNava sampradhAyam which is “charama parva nishtai” (fully faithful towards AchArya) through words (in this prabandham) and deeds (by being totally surrendered to nammAzhwAr and serving him throughout his lifetime). 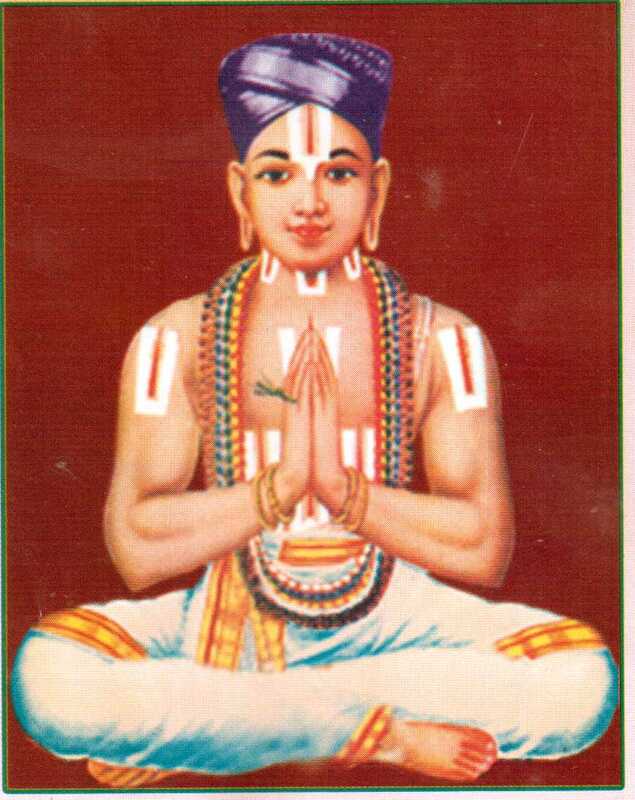 nammAzhwAr compiled 1102 pAsurams in his thiruvAimozhi, and provided 3 other prabandhams (thiruviruththam, thiruvAsiriyam and periya thiruvanthAdhi). Among those, 2 padhigams (decads) were dedicated to bhAgavathas viz “payilum sudaroLi” (2.7) and “nedumARkadimai” (8.10). Rest all are in glorification of emperumAn. On the other hand madhurakavi AzhwAr compiled only one prabandham that too only 11 pAsurams. But all these pAsurams bring out the full essence of being devoted to one’s AchArya (in this case nammAzhwAr). It is due to this wonderful aspect, many vyAkyAnams (commentaries) were written for kaNNinuN chiRu thAmbu. 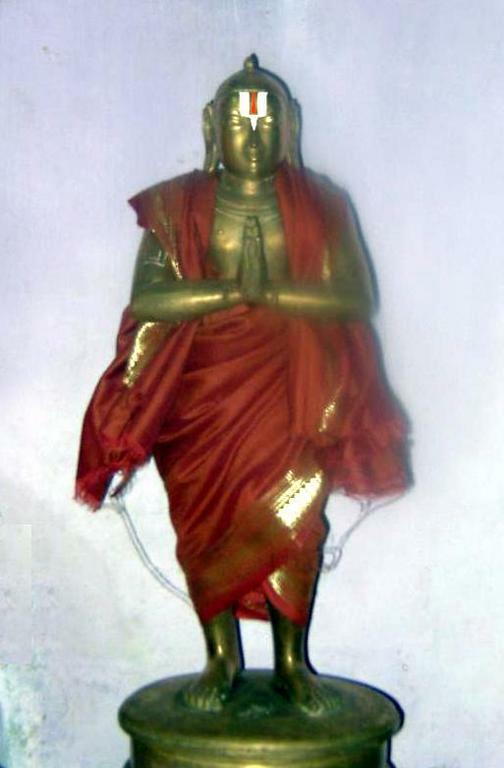 nanjIyar, nampiLLai, periyavAchchAn piLLai and azhagiya maNavALa perumAL nAyanAr have written detailed vyAkyAnams for this prabandham. 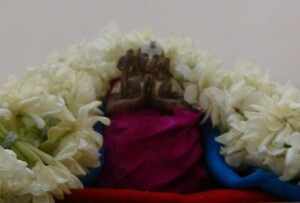 There is also thampirAnpadi (vyAkyAnam done by araiyars and used by them in araiyar sEvai). Beyond these there are padhavurai (word-by-word meanings) and arumpadhavurai (detailed analysis of commentaries) that are available for this prabandham. With the help of all of these and the mercy of emperumAn, AzhwArs, AchAryas and asmadhAchAryan, we will see the English translation for this wonderful dhivya prabandham. It is common practice to discuss thiruppallANdu and kaNNinuN chiRu thAmbu as part of bhagavath vishaya kAlakshEpam (thiruvAimozhi). This entry was posted in kaNNinuN chiRuth thAmbu, mudhalAyiram on January 17, 2015 by Sarathy Thothathri. Please put me on your email list. Thank you.